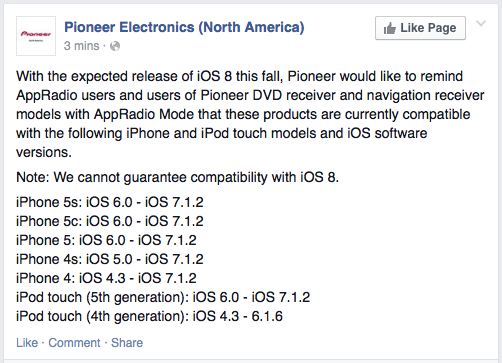 Pioneer Electronics has posted a message on its Facebook account just a few minutes ago reminding its customers of the upcoming iOS 8 release from Apple and what to expect when it comes to AppRadio Mode compatibility. As you can see, the iPhone 5S/5C/5 will support AppRadio Mode if running iOS 6.0 to iOS 7.1.2. iOS 8 compatibility is not guaranteed at the moment. However, a couple of iOS 8 beta users have not mentioned any issues with AppRadio Mode. 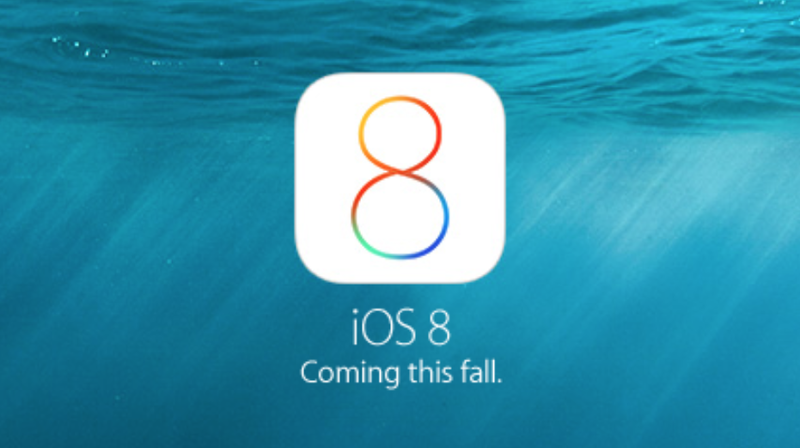 We will have to wait and see if that's the case when the final release of iOS 8 happens this Fall. Wow....so pioneer is not up to speed with IOS8 yet! Why doesn't that surprise me. Glad I wasn't one of the suckers that bought a NEX headunit and are still waiting for their promised firmware upgrade for Apple Carplay. What a fiasco. I will wait for the Alpine, thanks.